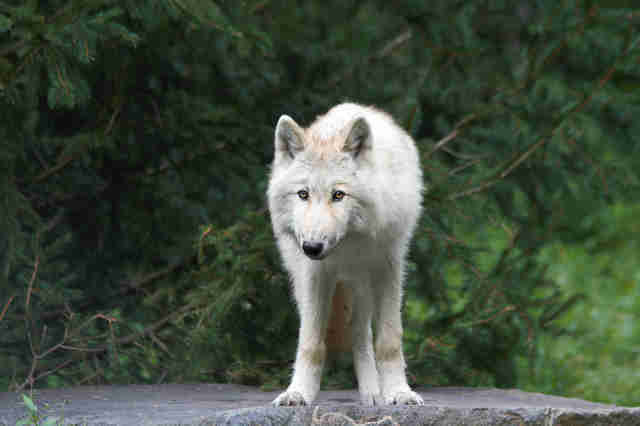 A 5-month-old gray wolf was just shot dead from a helicopter by a Washington Department of Fish & Wildlife (WDFW) official because five cows were found injured and one dead on the public lands where they graze. "The young wolf, weighing 50 pounds, was one of four pack members spotted that day by a WDFW helicopter crew," the WDFW wrote in a statement. "Identifying adults and young wolves from the air is difficult this time of year due to the size of the animals." 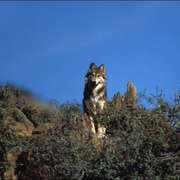 The decision to kill wolves in retaliation for livestock predations, especially in this area, the Old Profanity Territory (OPT), is rife with controversy: In 2016, the entire Profanity Peak wolf pack was killed off by the state. "The OPT wolves reside on land that was once home to the Profanity Peak pack, a family that was obliterated by WDFW officials in 2016 in an effort to stop depredation on livestock," Maggie Howell, executive director of the Wolf Conservation Center (WCC), told The Dodo. "Two years later, WDFW is back to kill wolves in the same area. Beyond being cruel, lethal action (i.e., killing wolves) is clearly not working." 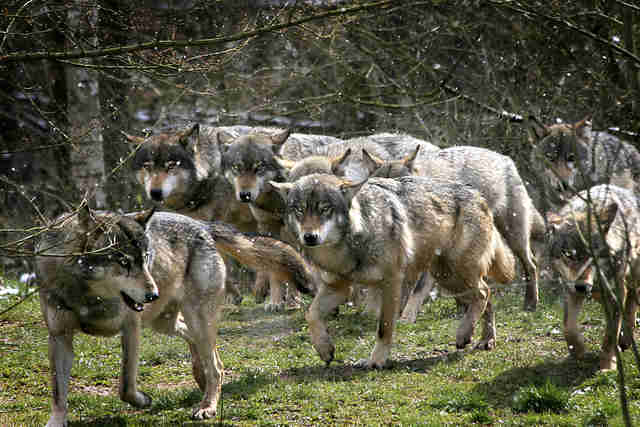 Killing wolves to protect livestock could even make the problem worse. "Peer-reviewed research suggests that killing predators can result in increased attacks on livestock by survivors," Howell said, citing new research issued this week. “Washington is essentially killing pups now. Anybody familiar with this area knows protecting livestock in these rugged mountains is impossible," Brooks Fahy, executive director of Predator Defense, told The Dodo. At the beginning of the 20th century, gray wolves were nearly extirpated from habitats across the country because of hunting and habitat loss. Local and federal efforts to protect the wolves have been successful and brought the animals back from the brink of extinction. "This is a very difficult situation, especially given the history of wolf-livestock conflict in this area," Kelly Susewind, WDFW director, said after authorizing the lethal action earlier this month. "We are committed to working with a diversity of stakeholders in a collaborative process to seek other creative and adaptive solutions to prevent future losses of wolves and livestock." You can help protect wolves by making a donation to Predator Defense and the WCC.